Designing Libraries spoke to Merton’s Library and Heritage Service about its library service strategy, its reputation for excellence, its partnership experience and the ongoing transformation of its traditional library spaces to accommodate a wide variety of community and cultural activities. a programme of supportive volunteering from its community of users. enhanced partnership arrangements: business start-up groups, job clubs, ICT support, children’s activities and a range of health initiatives, increasing the range of purposes and generating income. the introduction of self-service technology. an active engagement with staff and a flat management structure that has seen improvements in performance levels. The transformation has led to a number of awards in recognition of Merton’s achievements. Interestingly, however, that strategy has moved on from a focus on efficiency and cost-saving to an innovative approach to service developments, with a significant impact on how library spaces are used. With the help of Arts Council England funding the back section of Wimbledon Library has become a multi-use space: a library by day and a performance space by night. 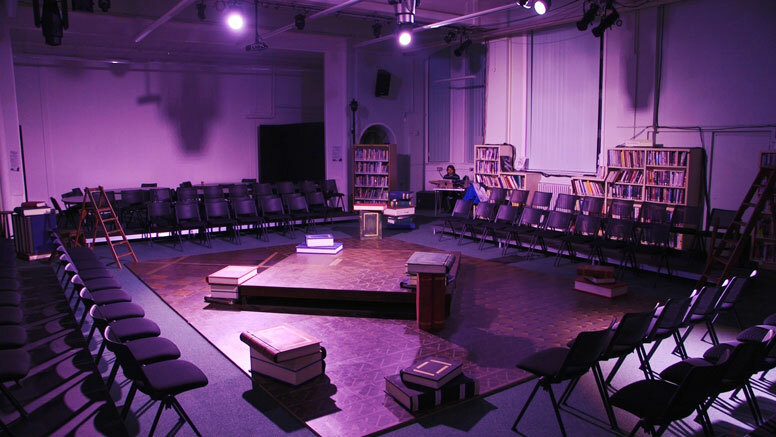 Working with local arts organisations, the space has developed into a fully functioning venue that can hold up to 300 people and has a professional sound and lighting rig along with a flexible stage. Two exhibition rooms have also been installed for artists to display their work and to act as community meeting or learning rooms. 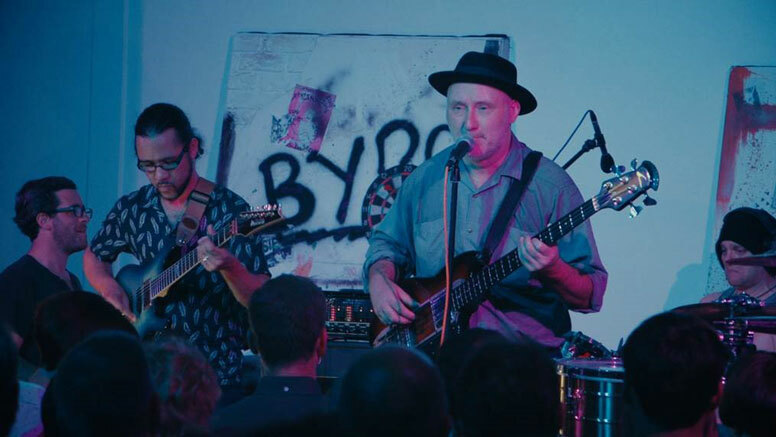 The space has hosted a number of high profile theatre and music performances and the model has been extended to the east of the borough with an Arts Space to open in Mitcham Library. In its first year, Merton Arts Space delivered 297 performances by 504 artists and attracted audiences totalling almost 200,000 people. Merton was awarded £142,000 from the Arts Council England to increase its engagement with young people through developing a new range of cultural activities in libraries. This initiative includes the new Arts Space for Mitcham Library, the development of a high school library membership scheme that includes incentives to encourage young people to read for pleasure and a new range of cultural activities and opportunities delivered through libraries. The initial consultation has gathered useful insights into young people’s attitudes and perceptions of libraries and the environment they live in. These views will form a key role in the collaborative development of the content of the project. Merton has two fully integrated nurseries operating out of two of its libraries, and they are hugely successful. 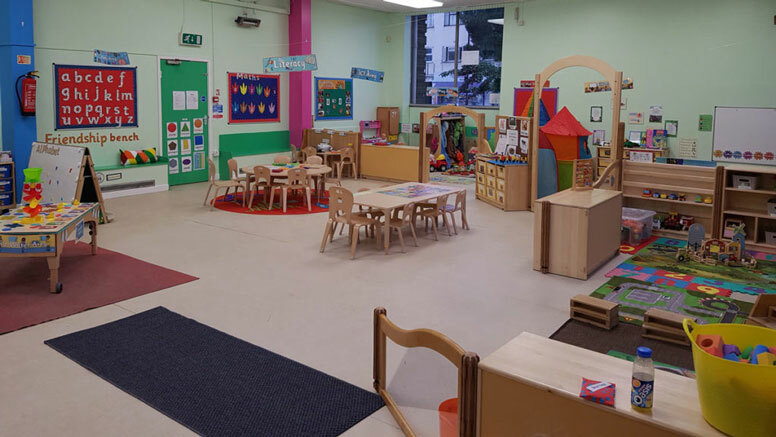 “Who wouldn’t want their child to attend a nursery based in such a fabulous setting as a library and have access to all of its wonderful facilities?” says Lisa Mustoe of Merton Libraries. 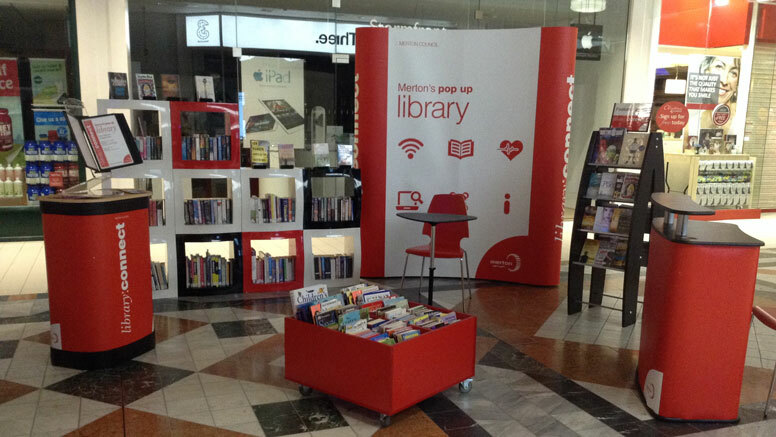 Merton’s very own pop-up library, called Library Connect, has been established for almost three years. During this time, pop-up libraries have been set up in 17 locations and received a total of 13,566 visits. Library Connect is designed to engage with people who are not regular users of the library service to show them the wide range of services available. Library Connect events are usually hosted in places where there are low levels of library membership or at places frequented by underrepresented library user groups. "We always want to test ourselves and therefore consider alternative delivery models. But we have a lot of confidence in our in-house team to deliver and the results are demonstrable in what has been achieved."